In April 1780 Major John Cartwright helped found the Society for Constitutional Information. Other members included John Horne Tooke, John Thelwall, Granville Sharp, Josiah Wedgwood, Thomas Walker, Joseph Gales and William Smith. It was an organisation of social reformers, many of whom were drawn from the rational dissenting community, dedicated to publishing political tracts aimed at educating fellow citizens on their lost ancient liberties. It promoted the work of Tom Paine and other campaigners for parliamentary reform. Most members of the Society for Constitutional Information were also opposed to the slave trade. Cartwright failed in his attempt to be elected to the House of Commons in 1780 for Nottinghamshire. 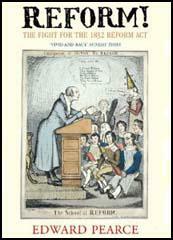 By the summer of 1793 the London Corresponding Society had made contact with other parliamentary reform groups including the Society for Constitutional Information. At the end of 1793 Thomas Muir and the supporters of parliamentary reform in Scotland began to organise a convention in Edinburgh. The Society sent two delegates Joseph Gerrald and Maurice Maragot, but the men and other leaders of the convention were arrested and tried for sedition. Several of the men, including Gerrald and Maragot, were sentenced to fourteen years transportation. The reformers were determined not to be beaten and Thomas Hardy, John Horne Tooke and John Thelwall began to organise another convention. When the authorities heard what was happening, the three men were arrested and committed to the Tower of London and charged with high treason. The men's trial began at the Old Bailey on 28th October, 1794. The prosecution, led by Lord Eldon, argued that the leaders of the London Corresponding Society were guilty of treason as they organised meetings where people were encouraged to disobey King and Parliament. However, the prosecution was unable to provide any evidence that Hardy and his co-defendants had attempted to do this and the jury returned a verdict of "Not Guilty". The government continued to persecute supporters of parliamentary reform. 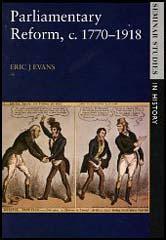 Habeas Corpus was suspended in 1794, enabling the government to detain prisoners without trial. The Seditious Meetings Act made the organisation of parliamentary reform gatherings extremely difficult. As a result of these meetings, the Society for Constitutional Information came to an end.